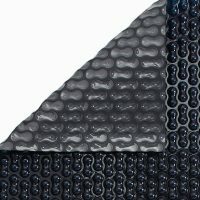 different pool cover material types and show you how to match the material to the specific need. 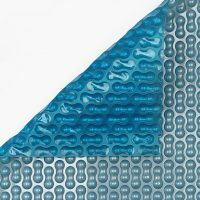 So what is the best material to put on your pool? It all depends on what you want the material to do! times by 50% to save electricity, or keep pool water cooler in extremely hot climates. 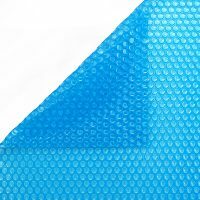 The following list details the benefits achieved with standard pool cover material. Performance may differ according to the material’s opacity but you can generally expect a temperature increase of 3-4 degrees C.
Cover lifespan will also vary with thickness or UV stabilisation but a quality base level material can be expected to last for two to three years. 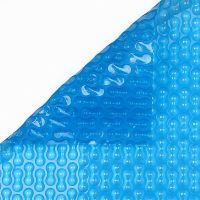 What is the difference between foam and bubble covers? 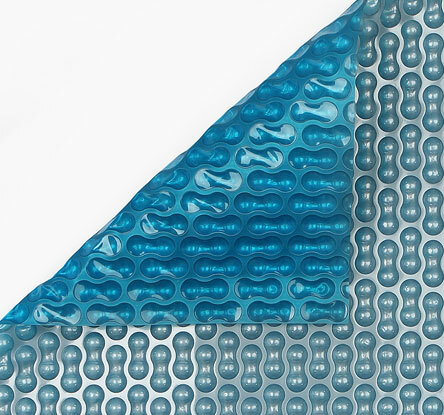 A bubble cover, often referred to as a solar blanket, enables free sustainable energy to be transferred to the water via the cover, resulting in a rise in water temperature. Heating and running costs are lowered as a result. A foam cover works as a insulating lid. 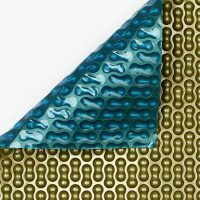 The material is manufactured using foaming agents or by radiating the material to create small air bubbles within he material. generated by the heat pump. The difference in performance between the two depends largely on the foam thickness. Looking only at the heat retention properties, a 5mm foam will provide a 60% saving in heating costs, whereas a bubble cover will provide a 50% saving. 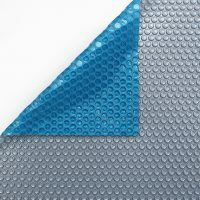 This is because both a bubble cover and a foam cover prevent evaporation which is the greatest cause of heat loss in the swimming pool and both use air to insulate the swimming pool surface. So both provide a similar heat saving. 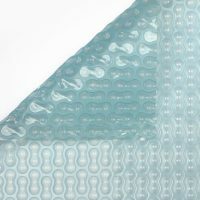 Why choose a bubble cover? 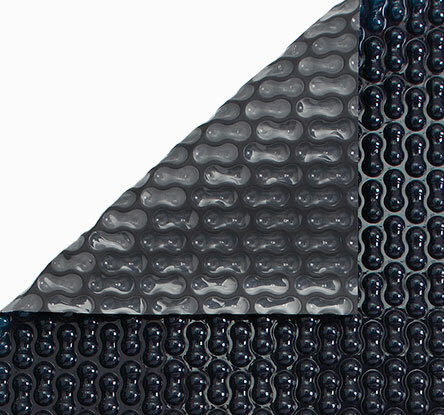 A bubble cover is lighter and easier to remove from the pool. A bubble cover is generally cheaper than a foam cover. With high performance Guard covers, the return on investment or payback period is one year. 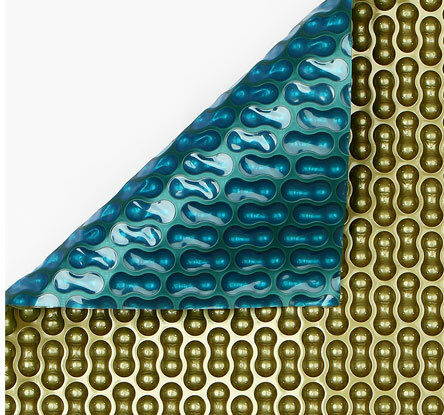 Foam covers also insulate the pool from potential heat gains from solar energy. weaker areas to achieve a longer lasting bubble.